Is it too early to declare a song the ~official~ Song of the Summer, 2017? It’s almost summer. Then again, the song we’re looking to crown isn’t even out yet…but still. 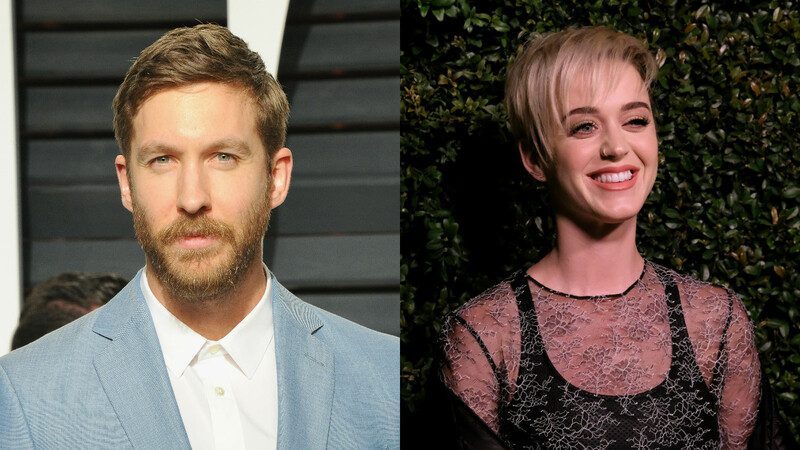 The news that Katy Perry and Calvin Harris are collaborating is enough for us to hand over a . Whatever it is, we want whatever this song on our iTunes shuffle mix like, five minutes ago. Both Katy and Calvin have albums dropping this year — Katy’s is still TBA, while Calvin’s will land on June 30th. Katy’s already released two songs; earlier today, Calvin not only teased a new song but also shared the very exciting news that Katy will appear on the track. The video, which clearly teases a new track from the album — titled: Funky Wave Bounces Vol. 1, and sure! — is set against a backdrop of a pink beach. Yeah, pink. Pink + Katy go hand-in-hand in many instances, so this only makes us even more pumped for whatever song they’re going to put out. Calvin’s video also teases a few other big names that will appear on the album, including John Legend, Ariana Grande, Migos and…Snoop Dogg. Calvin and Katy, how does it feel to be a shoo-in for Song of the Summer? We’ve this idea on forever repeat.